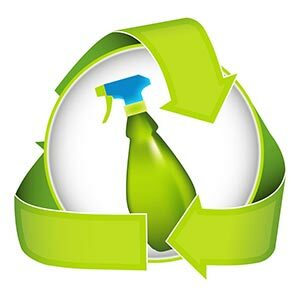 Our staff at Peoples Professional Cleaners is very aware of the environment and tries to do everything possible to eliminate unnecessary waste. Peoples is one of a only a handful of local dry cleaners to utilize a non-toxic solvent that is biodegradable and completely safe for the environment. Peoples encourages the return of packaging materials and pledges to re-use as much as possible. Items that can be re-used include wire hangers, cardboard strut hangers, safety pins, plastic skirt/pant clips, and plastic coat retainers. Peoples employed the services of an independent, DEQ (Dept. of Environmental Quality) certified firm to evaluate the environmental impact of our plant and our cleaning processes. In addition to studying our methods, soil samples were examined from around our building to insure the soil had not been contaminated. We passed it all with flying colors. Peoples also employees the services of Safety Kleen Inc. for the safe handling of any hazardous waste.